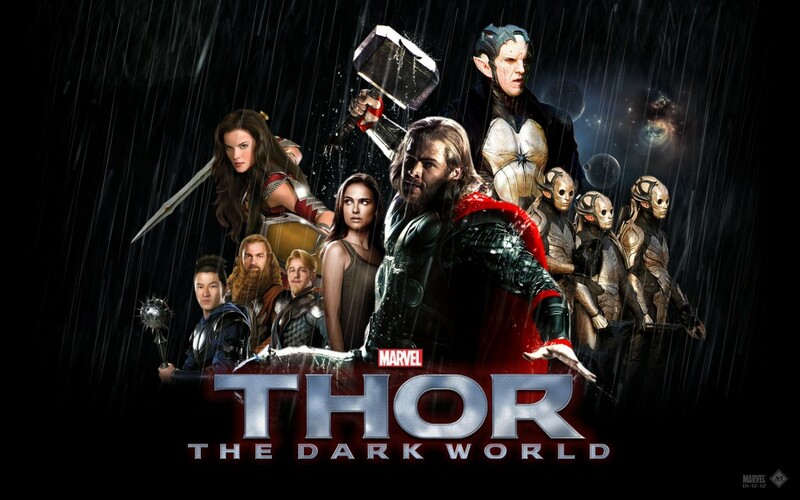 For me, Thor: The Dark World, felt somewhat flat, which is the opposite of the intended effect considering the amount of money spent on its stereoscopic conversion. Initially I analysed this seeming flatness through attention to the aesthetic development of the film but it was only after a little more thought that I realised the flatness came from a different, but related source: my lack of engagement with the characters and narrative. Perhaps because Thor introduced more comic gags then recent Hollywood action efforts (with the exception of the Iron Man films) it struggled to ground itself in a strong story that I cared about. I had no interest in any of the characters of where they were going in the film. While this is suggestive of narrative flaws it was a problem that was supported and extenuated through the way the 3D effects were used. The film pivots around a dangerous energy source that has the ability to change the fate of the universe. This substance, aether, is displayed as a red, liquid like substance that often ebbs and flows in a bulbous form. Its tactile surface tantalises the viewer with the promise of touch when it is introduced at the beginning of the film but it is kept at a distance through its placement in mainly positive parallax space. This is a tendency that is maintained in the introduction of the characters and the actions scenes in which they are placed. Like many contemporary stereoscopic action films, the beginning of the film has relatively conservative 3D effects and most of the action is placed in positive parallax. This is true even when the opening battle amongst the protagonists and antagonists, the Asgardians and the Dark Elves, throws explosive and exploding material. Fast editing and an intense soundtrack give the sense of a chaotic unruly environment but little of the material breaches the traditional boundary between film and audience. In a later battle on another of the worlds, Vanaheim, there is a similarly unruly space created amongst a hilly landscape,but cascading showers of soil and splintering weapons seem to emerge only as far as a zero parallax plane before a cut takes place. Alternatively, this material spreads from left to right (or vice versa) rather than towards or away from the audience. It is only in quieter moments, when characters converse with one another, (almost always in pairs rather than in greater numbers) that negative parallax space is used In the first half of the film. In the shot/reverse-shot set up that occurs in these scenes, a shoulder or arm from the character in the foreground will breach the screen plane at the side of the screen space. Alternatively, characters are framed in a two shot whereby a diagonal perspective line appears to run from down screen left or right into the screen space. At the audience end of this diagonal line is usually some furniture or architecture that has the same effect of bulging towards the audience as the aforementioned limbs. These shots remind the audience that stereoscopic effects are being deployed but their singularity amongst otherwise ‘flat’ scenes means that it is hard for the film to produce the same engaging depth levels as other, more successful, 3D films. The only exception is when central character, Thor, and his female assistant, Sif, converse in a festive drinking hall. Dust and embers swirl around them and into the auditorium, creating a feeling of shared space between audience and characters. In this scene, a particular intimacy is achieved that is absent in much of the rest of the film. That Sif is only a minor character and a similar scene is not set up between Thor and his main love interest, Dr Jane Foster, is telling of the rushed nature of the film that does not truly develop any of its characters beyond information that is already known in the Marvel franchise films. Like other 3D action films, the stereoscopic effects do grow as the actions scenes increase in intensity towards the finale. 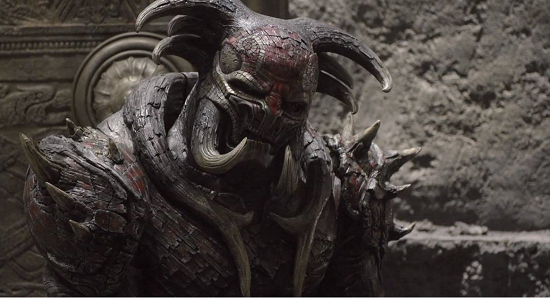 The fight scenes between one of the enemy’s Kursed creatures and the Asgardians allow embers to blast towards the audience. Later when more of the Dark Elves arrive, various stereoscopic debris is hurtled around the screen space. In most cases, the increased stereoscopy takes place amongst speedily edited action scenes so that little time is given for the sense of depth that it brings to develop. On the one hand, this is suggestive of a fairly conservative tendency in Hollywood 3D cinema that has been championed by filmmakers such as James Cameron who wish to remove the perception of ‘gimmickery’ often associated with 3D. Yet this seems odd considering the various comic scenes that take place in the film suggesting that Thor, like the Iron Man films, is trying to move away from a deferential comic book adventure towards something that is more dynamic and interesting. On the other hand, the limited use of 3D effects may be the result of the film’s conversion process. While the conversion technology used has produced a sophisticated visual field, as evident in the fairly good approximation of depth in the characters’ faces, there is frequent use of shallow focus and even when deep focus is used, the sense of expanded depth planes that is achieved in native stereoscopy is missing. When Dr Foster and her colleagues stumble across an unworldly porthole in an abandoned factory space in London there are various shots of lengthy warehouse spaces, long corridors and deep stairwells. Even though stereoscopic depth cues are used in these shots, a true sense of receding depth is barely perceptible. The advances in stereoscopic conversion technology mean that the cardboard cut-out effect that was long hailed as the main problem for stereoscopic conversions is no longer a worry. In this light, supporters of conversion technology such as Barry Sandrew are claiming that there is no reason why films cannot be shot in 2D and converted. However, the emphasis that technology is no longer a barrier elides the initial fear of stereographers who were less concerned with clunky technology and more concerned that filmmakers would not design their films in 3D. With movies such as this one, the visual outcome is now a smooth, painless 3D but it is also a conservative mise-en-scene that does not capture the full potential of stereoscopy’s unique visual quality. Elsewhere I have argued that we have to be careful not to demonise conversion technology under a technological determinist rubric but we do have to consider whether it is acting as a barrier to encouraging directors to truly conceive their films as stereoscopic works. 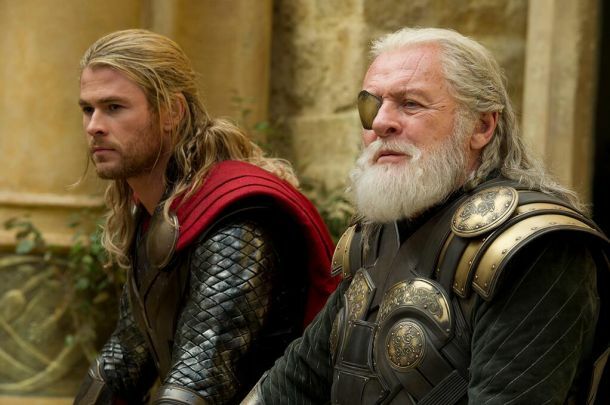 Although Thor is an enjoyable film and a well-placed addition to the Marvel franchise, its 3D effects are somewhat forgettable and indicative of the current range of Hollywood blockbusters where stereoscopy is only conceived as an afterthought.